If you are conducting keyword research for your paid search marketing campaigns in Google AdWords and Bing, try WordStream Advisor. WordStream Advisor is a robust platform for managing pay-per-click marketing campaigns. WordStream Advisor is a powerful, innovative platform for creating and managing high-performance pay-per-click campaigns. 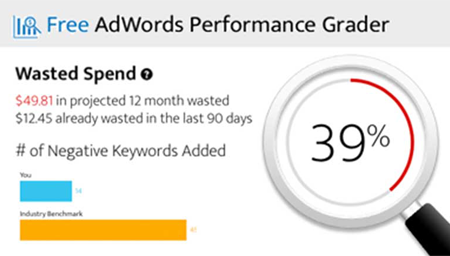 With the 20-Minute PPC Work Week, your customized alert center, WordStream Advisor guides you to optimize your PPC campaigns in just 20 minutes per week. Time-saving tools: Optimize keywords, ads, landing pages and more with custom alerts that tell you exactly what to do every week to boost results and increase ROI. Cost-saving tools: Quickly find and fix costsly mistakes that are wasting your budget. It all adds up to more leads and sales at lower costs. The help you need to succeed: WordStream Advisor makes PPC management easy; our clients get 60% more leads than marketers using AdWords alone. WordStream Advisor empowers you to grow your business no matter your size or budget. Start your free trial today.